Plastic, glass and elastomer packaging with a wide range of possibilities for the primary packaging field. PACKAGING CONCEPTS – DESIGNED FOR YOUR WISHES! Individual solutions of complex tasks in the scope of the packaging and administration of pharmaceutical products are one of the most important elements of our range of services. R&G already established a reputation in this regard as a flexible, solution oriented and reliable partner for our customers. Although working on developments for us always means to go one step further. In cooperation with you we work out products of highest quality and functionality, so that a perfect integration of those products in your process is realized. WE OFFER MORE – ONE-STOP SYSTEM SOLUTIONS! The wide production range of R&G offers our customers the possibility to source a complete packaging program in ideal accuracy of fit from one sole supplier. 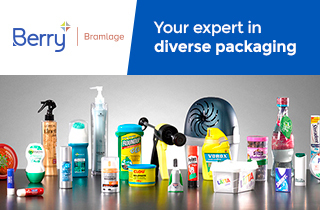 We co-operate closely with manufacturers of other packaging components like moulded glass bottles and sealing elements. The result is highest processing quality for our customers. PACKAGING – AS YOU LIKE IT! R&G as a reliable partner also offer you the possibility to adjust the packing of our products to your request. Upon your demands products can be packed in units specified by you. Also single packaging or packaging suitable for sterilization is possible. Reliability, Innovation and Quality for 150 years!